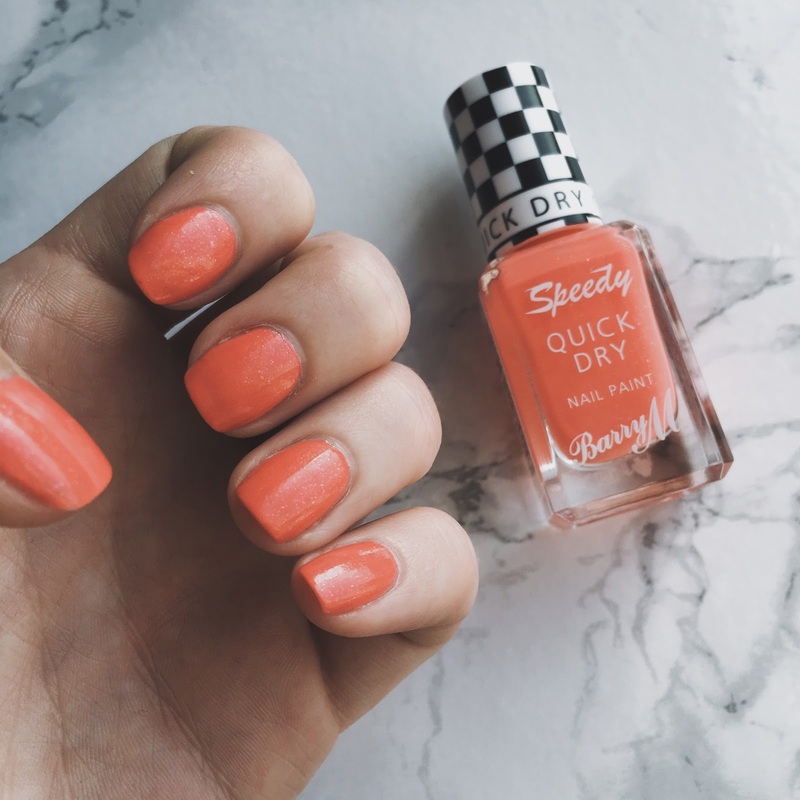 Here I am, back once again with another NOTW: Nail Of The Week blog post and I feel like I haven't done one of these posts in a long time....infact the last time I done one of these posts were at the beginning of May and I've only just realised that I haven't done once since......oops! 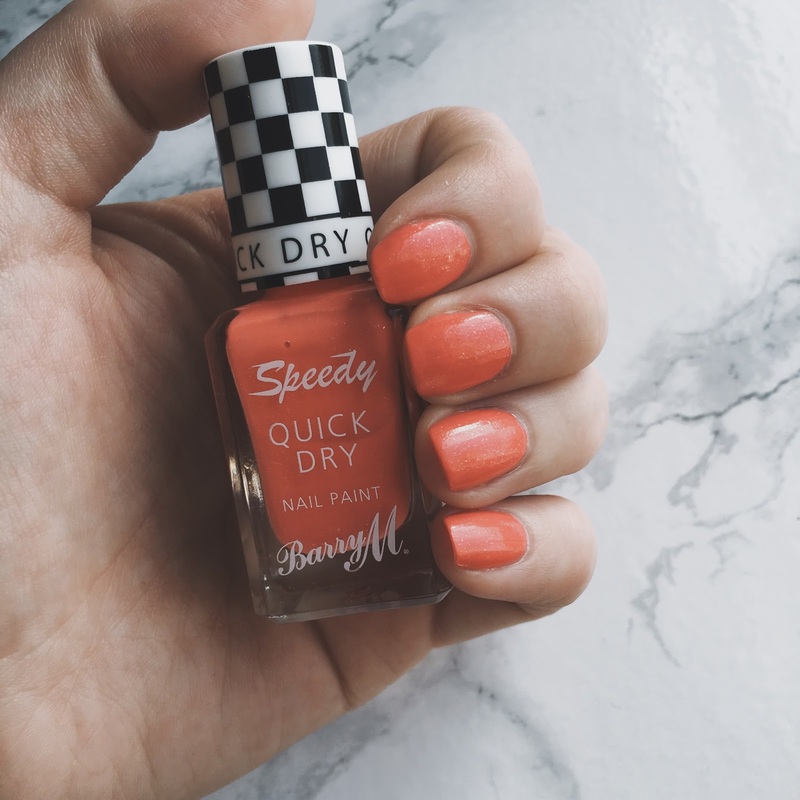 This weeks NOTW is in the colour "Turbo Charged Coral Shimmer" and is by my favourite brand of all time Barry M. I have been wearing this colour loads over the past 2 or 3 weeks and I'm still loving it now, which is unusual for me as I usually get bored of one colour on my nails very easily but not this time. 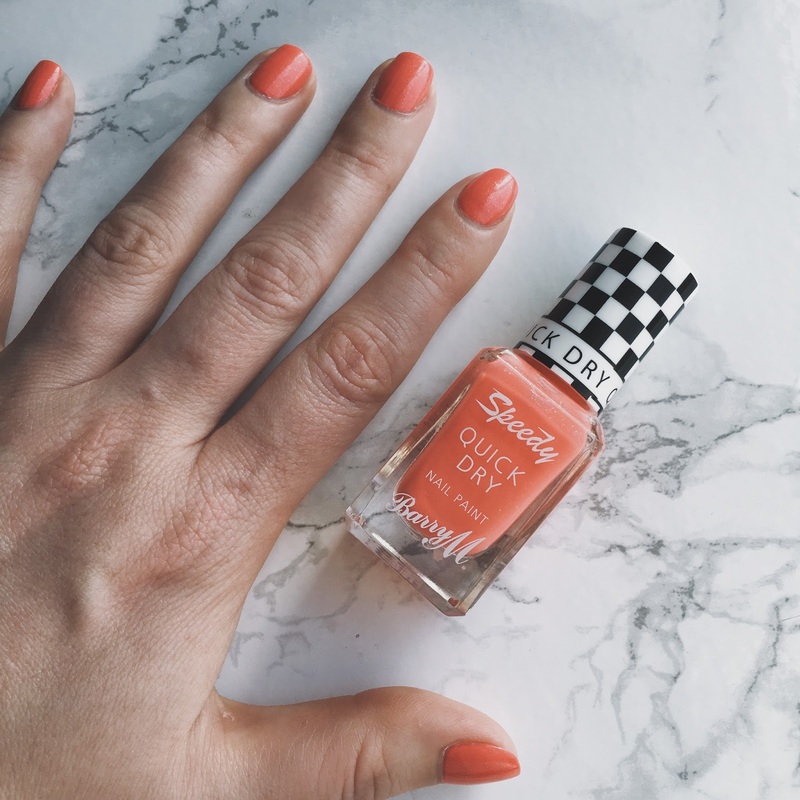 This nail paint is in a gorgeous orange/coral colour with just a slight shimmer to it, which I love as the shimmer part of it looks really nice when the light catches it in a certain way. I'm not a fan of major shimmery nail polishes at the moment so I'm glad this only has a slight shimmer to it. 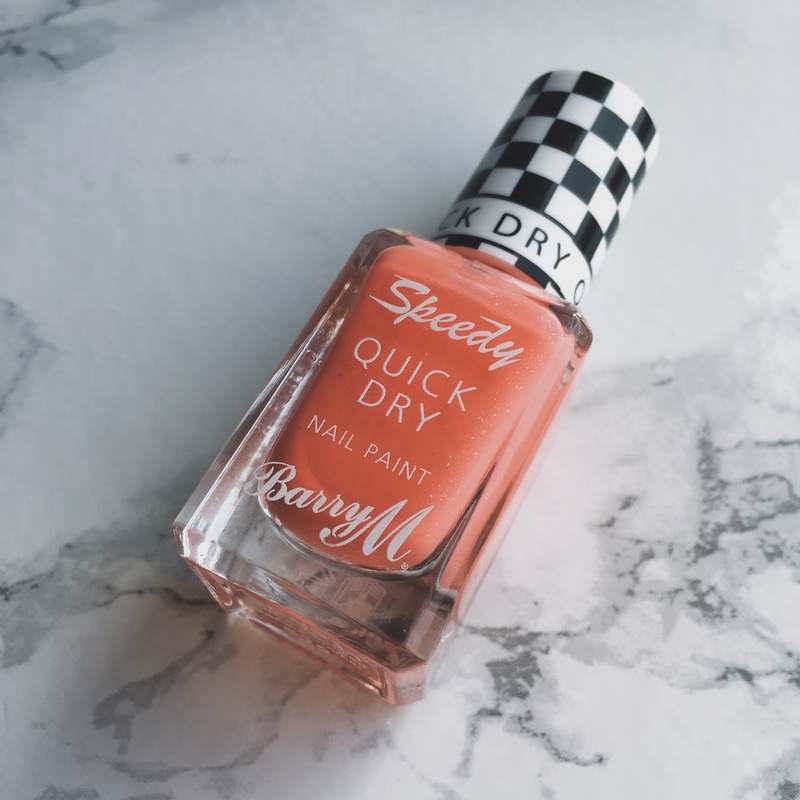 Now I'm not gonna bore you with my routine of how I prepare my nails before painting them, as I do that in most of my nail related blog posts. So instead I'm gonna change things up a bit and end this post with a selection of photo's of this particular nail paint.....ENJOY!